The self-help revolution made it possible for us to learn so much on our own and outside the classroom. Cassettes, cd’s, dvd’s, and now mp3’s and videos have amplified the learning rate of the productive world. The realm of moral clarity is no different. Beyond acquisition of the working knowledge of a philosophy, there is the exposure of injustices and the restructuring of society made possible by these means. The result of functional competence in the realm of morality is the capacity to truly make a difference–for oneself, for one’s family, for one’s nation. Wiping out stress is among the first steps along this road. To see clearly, to see easily, is to not be afraid to see, as you will have become confident in your ability to handle all that could follow. In time, this growing skill will make your spirit indestructible. What if there were stresses that you were so used to, you didn’t even notice the burden? In most communication with people, we hear insults to honor, to effort and to ability—to our own and to integrity as such—and in cutting to the chase, we let it go. What if this subtle repression of injustice is precisely what blocks you from enjoying sacred emotional rewards that you weren’t even aware you deserved? What if it was thee barrier between you and the “reason for it all,” and what if you found that it was placed there on purpose? Herein lies some of the great mysteries of life, and it’s time to solve them. 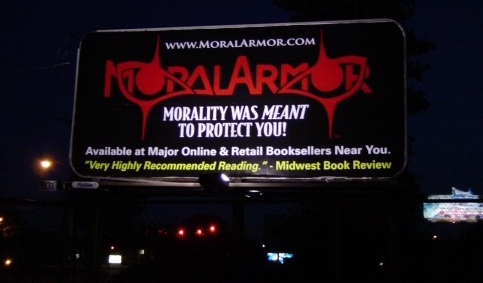 What price would you put on being certain about the moral implications of your every action? Moral certainty is the most powerful human force, and there are astonishing planes of fulfillment that accompany its attainment. Unfortunately, dysfunctional premises drive illusory consequences in the minds of most, providing a sufficient barrier to these levels. The Spirit Murderers don’t wish the masses to reach them. These values rest in latent form, which if remain suppressed, allow the Spirit Murderers to continue their game. What if solving this dilemma would allow you to reach the full maturity we all deserve an opportunity to feel? The Spirit Murderers stand frozen, hovering over their fragile control of this powerful force, in dread of what will happen if full mass moral validation is actualized. Men will be freed and they will be thrown off. “Thrown off to die” in their minds, which rationally translates as, “responsible to face nature in the manner their victims do.” As these rewards lay two levels of abstraction from the typical range of human consciousness, they have gone undetected. As long as there was no one to make axiomatically valid ideals explicit, their secret was safe; but in recent history they have suffered a major setback. We are in the midst of the self-help revolution. This is the time where the productive middle class has matured, spread its wings and is soaring. It is a fantastic time to be alive. Many people no longer feel helpless and are now in control of their own destinies, which is a much more significant cultural shift than just a generation coming into its own. The esteem they have generated is wholesome and real. It is the perfect opportunity for a philosopher to come in and reinforce the foundations of this movement, and therefore have a profound impact on all of the years ahead. The human race is not deaf, blind or helpless, and we are now proving that en masse. With the promotional genius of men like Anthony Robbins, it is becoming generally accepted to model excellence in all fields and in all aspects of living. The traits which our heroes appear to so naturally assume are coming within reach of anyone who puts forth the effort to attain them. Philosophically speaking, the potency of human ability is being restored. This is such a wonderful step for a culture to take towards a moral existence, that I am sure men will have the strength to move into the next dimension and comprehend a moral code designed to convey a clear purpose for that excellence. We have learned how to spend our time wisely, to manage our money and to set goals. We have learned to build profitable corporations, to build healthy bodies and healthy relationships. Self-improvement has socially and psychologically moved into the realm of abstraction, where we are now beginning to effectively harness our emotions. Step by step, field by field, we are taking conscious control of our destinies. Sure, television news shows us nothing but crime and devastation, but I see a better-educated world around me and most importantly, a greater ability to link cause to effect and act on it, which includes an aggregate lengthening of intellectual range—both in capacity and time. On what many consider the brink of disaster, I feel an undercurrent of sound moral judgment in society today—a self-responsibility practiced by a growing number and identified as “en vogue.” I see more leaders and fewer lemmings. At this point in history, it is time to make our moral countenance indestructible. Along this road of progress, I’m sure you can recall experiences that have been turning points. Ideas you draw from constantly, which you couldn’t imagine functioning day to day without; ideas that seem to lie at the base of every decision. What if there were still more powerful ideas that once known and practiced, became an absolutely priceless frame of reference? For all of the splendor you have achieved in your life, what if there was an awareness you could gain that would tie everything together and give great conscious meaning to your every glance, to your every action and to your every day? What if this awareness were to give you the grand, paternal feeling of looking upon all of existence as you foster those you have risen above, sharing your calm, your clarity, your love and your sanction for all that is possible to us? That is what I intend to fulfill. Have you ever felt so pure a sanction of existence that you just wanted to tickle something? All throughout life I have maintained the boundless energy, the playful excitement and the unlimited possibility that we all started out with. Little did I know then, how much more I would encounter in the adult world. The clean reasons for friendship and romance, the stunning interests I’ve had in sharks, astronomy, philosophy, jets, racing cars and bikes has all followed me into adulthood. Life is a playground for adrenaline, with day-to-day development, refinement and increased emotional intensity. I left nothing to cultural dictates, and stayed open to the most fulfilling returns in all contexts. With experience and the power of vision, all elements of life now flow harmoniously. I see the parallels between our intimacy and our productivity, our morality and our physiology, our political affiliations and our art, and I’ll bring that clarity to you. The rewards just continue to gather more power and meaning, and among the pinnacles, I have found no greater interactive tribute to the incredible glory of Man than in visiting the Kennedy Space Center. Imagine being down in Cape Canaveral to witness an American space shuttle launch. Waiting for the countdown, your mind wanders, having time to appreciate the crisp, clean morning air and blue sky while you sit and enjoy the peaceful sounds of nature mixed with the motion of those gathered for the same purpose. With emotions fueled by spellbinding films and exhibits of their incredible struggle, you contemplate that sense of life that prompts men to endlessly explore; all driven to push the envelope, often at great risk to themselves. They carried mankind and technology along on their forward thrust into the unknown, to the crescendo of their final triumph—a man on the moon, which proved only the beginning. Here, you are a part of it, paying tribute to our present mastery in witnessing the launch of an orbiter, which is now building a space station. Suddenly the ground beneath you begins to vibrate, resonating with a deep, rich hum, which sweeps away your consciousness into a total focus on the craft. You look with wide unblinking eyes, barely allowing yourself to breathe, wishing to avoid the visual disruption of the rise and fall of your chest. The engines have been lit, and you can feel the pressure and heat of the air between you and the craft. As the countdown proceeds, your weight shifts, looking over the heads of others, astonished to realize you have been standing; not knowing when, or why. “Four…three…two…one,” and the roar of the solid fuel rockets slams your senses way beyond anything you have ever experienced. A cloud pours around the bottom of the craft, engulfing it completely, spreading towards you and you think, “If the power and the heat were to engulf us all, oh,…just to feel what I am feeling now as the emotional height I’ve always wanted to reach, to feel this as my final salute to life, would be a precious blessing.” The tip of the craft emerges above its cloud, and slowly lifts off with an incredible trail of fire, passion and thrust, as if it has joined forces with nature, harnessing and directing a storm to accomplish its will. Overwhelmed by the sensational rapture of your being, your eyes well with tears and you begin to pant in a pure, free, emotional release. With every sense filled so completely, you wonder if you’ll even survive such unbearable pleasure. As it rises higher, the power of the sound diminishes; the shuttle lifts into the heavens peacefully—a red tailed comet—its firm touch releases, returning control of your body, but for the shallow breath of exhilaration still coursing all through you. Trembling in the aftermath, immersed so deeply within your soul, you find it difficult to walk, and you notice the same in others. You have been stunned and then laid back to peace, rocked by the incredible power, complexity and glory of Man; contemplating, “My god, men did this. Men erected a skyscraper and just shot it into space. If we can do this, we can do anything,” and that is true. For the glory of that emotional release of all you can feel, which is a response to our highest potential, with the nature of the universe as our guide, we can do anything. The most priceless reward of life is the ability to wake up every day with just such a wonderful sense of expectation; an awareness that you will have remarkable experiences of your own design that will make you feel so deeply, and so connected. The incredible power of Man is something we should all link to our own potentiality. Shivers move down my spine when I contemplate what each day might bring; the excitement, the risk, the adventure of life itself—of facing and conquering fears—is truly exhilarating. Because of the implicit moral worth of our actions and its resulting confidence, it is going to be much easier for us individually to look inward at our own motives, to purify our body of knowledge and move to a new level, intellectually and spiritually. For example, picture yourself looking in the mirror. You think back and see achievement in your past. You see excitement in the present, and feeling a tingling sensation, your stomach drops, anticipating the plans you’ve laid for your future. This reflection is the life-force that makes it all possible, and which has made life worth living. Don’t deny it, you like what you see! And you should. There stands a strong, progressive individual, on its way to its chosen and cherished goals. There is pride in that being, and there is beauty in that pride. For once in history you have to learn, not to take a hit, but the immense deliverance of taking a steady flow of self-compliments, because you know they are deserved. In today’s world, the pursuit of our dreams seems limitless, and anything we want is just a ‘plan of attack’ away. Leading richer and fuller lives, we inherently know that our productivity is taking us in the right direction. As the industrious of Man, we now understand that our free expressions are the causes that reap mankind’s glory; it’s becoming obvious to all, but there are many crucial aspects of living which we still haven’t learned. When the space shuttle is prepped, every last detail is monitored to assure the health of the craft; its path, its platform, its fuel, its structure and its environment. Everything must flow perfectly or it doesn’t take off. It is the same for a human spirit. This can be implied to mean that the craft is delicate, but that isn’t true. Ballistic glass and a bullet-proof hull isn’t delicate. The shuttle is designed to withstand the conditions it is expected to encounter in its traveled medium; so too properly, is the human mind. But how? Projecting what life should be and trying to live it, often feels like a soap bubble floating through the world. As light, as free and as easily punctured by experiencing the betrayal of values, by oneself or others. The difference is, as a bubble comes in contact with a thorn, its journey is over; not so for a damaged spirit. It goes on in a crippled state, kept in existence by the physical entity in which it is contained. One can wait for time to disassociate the pain, yet just when a benevolent medium returns, something else happens to smack it down in a self-defeating cycle. It isn’t necessary for a spirit to be so fragile. The honest portion of this delicacy comes from a technology in its infancy; not in the nature of the medium. We can control our spiritual outcomes by assessing its nature, its environment and our direction, leaving nothing to chance. We can steer clear of thorns, making it safe for our innocence to return and flourish. We can plan for the world we live in, standing strong, tall and able, and move through it with a swift, preeminent elegance. Moral Armor will provide what is necessary to give your spirit a good solid feel. Instead of a soap bubble, it will be more like a run-flat, the high-performance tire that can still speed you along to your dreams with grace and style, even after a severe puncture.